Join David Thorn in launching his very special Owner’s Blend! This Owner’s Blend was first inspired when David was photographing this lone tree located in vineyards outside of Montepulciano, Italy. The Sangiovese, Cabernet Sauvignon, Syrah blend is layered and complex with flavors of black cherry, raisin, and vanilla contrasted with subtle notes of spice and black pepper making this wine “something special”. David is thrilled to share a small piece of the “ThornCreek Experience” with you through the culmination of my travels and passions. Spend time with David and our winemaker while you enjoy hors d’oeuvres and passed appetizers along with a glass of wine of your choice. Tickets are available for $20. Space will be limited so secure your tickets now by messaging us on Facebook, emailing BrookeMarie at salesdirector@thorncreekwinery.com or calling our office at 1.330.562.9245. 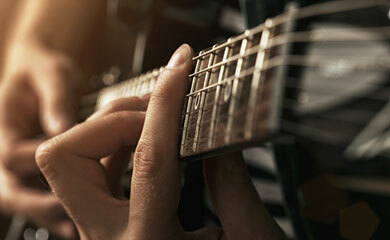 ThornCreek pairs its award-winning wine and fine cuisine with the sounds of local singers and songwriters. Friday, April 26. Onstage 7-10pm. Saturday, April 27. Onstage 7-10pm. 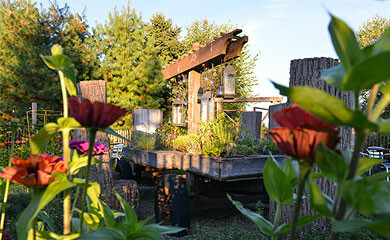 Nestled in Aurora, Ohio, ThornCreek Winery and Gardens features award-winning wines and unique gathering places. Come and share the experience at ThornCreek. 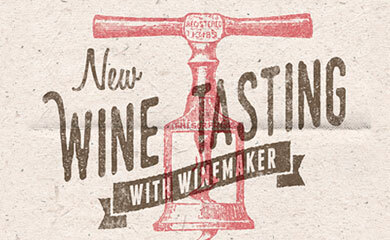 Join ThornCreek’s Winemaker for our new Formal Wine Tasting Series on Sundays and Wednesdays. Pairings include a sweet or savory food board as well as one-on-one time with the winemaker. Space is limited. Call 330.562.9245 for reservations. ThornCreek offers a unique setting for corporate events, weddings, reunions, holiday parties and more. The beautiful gardens combined with the tasting room and wine cellar make the winery the ideal setting for your special event.